CFI is a public sector operator funded primarily by the French Ministry of Europe and Foreign Affairs. The Ministry's annual subsidy (which comes under budget programme 209 – Solidarity with developing countries) accounts for around 85% of the agency's budget. CFI's mandate thus comes under France's policy of state aid for development. CFI was founded in 1989 by the Ministry of Cooperation with a 'cultural assistance mission': to supply overseas television stations with French television programmes free of charge. Since then, the State has entrusted CFI with a series of tasks, including, in the main, a database of television programmes, pan-African television channel, satellite package operator, and, lastly, cooperation agency in the media sector. The latter has been CFI's sole mission since the early 2010s. CFI is a member of the Global Forum for Media Development (GFMD), a body set up in 2004 to coordinate and lobby on behalf of those working for media cooperation, to coordinate the actions of its members in the service of development in countries in receipt of international aid. The French Ministry of Europe and Foreign Affairs (Ministère de l'Europe et des Affaires étrangères - MEAE) has set CFI the task of implementing its policy of aid for the development of public and private media and, more generally, the audiovisual industry with a tri-media outlook, in countries in receipt of development aid. Its goals include the dissemination of information, the strengthening of civil society and the State of law, and support for new democracies or 'fragile States'". The general outline and priorities of the mission entrusted to CFI are governed by an agreement signed each year with the MEAE. To achieve the objectives set, MEAE grants CFI the funds espacially allocated to budget programme 209 for development aid. With more and more audiovisual stakeholders providing assistance at international level, MEAE has also tasked CFI with ensuring the circulation of information and helping it to coordinate the various French media professionals involved in cooperation initiatives. CFI analyses the situation in each country, develops the relevant projects, and implements and evaluates these projects in close collaboration with the French diplomatic network, in particular the Cooperation and Cultural Action Services. The relationship that binds MEAE and CFI is thus based on a spirit of partnership and trust, the key concepts of our cooperation. It is the result of ongoing listening, information exchange and consultation. CFI, now a public limited company, was initially a 100% subsidiary of state holding company Sofirad. CFI's shareholders between 2004 and 2017 were France Télévisions (75%) and Arte France (25%). On 27 June 2017, the French media development agency became a 100% subsidiary of France Médias Monde, the national broadcasting company responsible for France's international audio visual offering. France Médias Monde is to take over governance of CFI at Management Board level, but will not be involved in its funding. The involvement of France Médias Monde in the operations run by its CFI subsidiary is essential, and allows the establishment of a specialist international media team in the field of development aid. The France Médias Monde group is composed of France 24, the 24-hour three-language news channel, RFI, the international broadcaster, and Monte Carlo Doualiya, the Arabic-language radio station that broadcasts all over the world. Broadcasting from Paris, these three radio stations cover 5 continents and 15 languages. The group's journalists and its network of correspondents offer listeners, viewers and internet users open information on the world and on diverse cultures and points of view through current affairs programs, reports, magazine-type programs and discussions. France Médias Monde is one of the shareholders and partners of the TV5Monde mainstream French-language channel. The managing of the strength of France Médias Monde and CFI in terms of cooperation initiatives has established a single integrated media development aid structure, and has lent increased transparency to concerted action for an effective solution to the challenges specific to trades and values in the public audio-visual sphere. 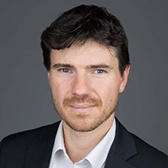 Since September 2018, Marc Fonbaustier has been Director of strategy and development at France Médias Monde and, as of 11 September 2018, he is now also CFI Chairman of the Board and managing director. Thomas Michelon, Deputy programmes and operators representative, General Directorate for Globalisation, Ministry of Europe and Foreign Affairs. Coordinated by Deputy Managing Director, CFI provides support for its partners thinking through their strategic choices in the switch to digital media. 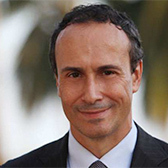 Marc Fonbaustier studied at the French National School of Administration (ENA) and the Paris Institute of Political Studies, and served as the French Ambassador to Togo from 2014 to 2017. Aged 53, he has held various French diplomatic posts, predominantly in Europe and Asia. Between 1999 and 2001, he served as a Counsellor at the French Permanent Representation to the European Union, where he was in charge of relations with the European Parliament, most notably during the French Presidency of the Council in 2000. He rounded off his diplomatic career in Europe by serving as a political adviser to the French Embassy in Rome, Italy from 2001 to 2004. He was Minister Counsellor at the French Embassy in India from 2006 to 2009, and then the French Consul General in Hong Kong and Macao from 2009 to 2011. He spent the following three years (2011 to 2014) working for the Crisis and Support Centre of the French Ministry of Europe and Foreign Affairs, as the Deputy Director of the Situation Centre. 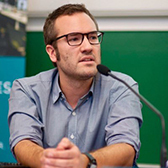 A graduate of the Strasbourg Institute of Political Studies and holder of two Master's degrees in European politics obtained in Brussels and at the College of Europe in Bruges, Alan Dréanic has spent the past 17 years working in the field of developmental aid and of the promotion of democratic governance. Permanent representative to the European Union for the International Federation for Human Rights ( FIDH) in Brussels (2002/2004), he then joined the European Commission/EuropeAid as part of the team responsible for the "European Instrument for Democracy and Human Rights" (2004-2008). On his return to France, he held a number of managerial positions at Expertise France and the agencies which preceded it (FCI, FEI), including director of operations and development of France Expertise Internationale, and then director of the Democratic Governance and Human Rights department of Expertise France (2015-2018). Alan Dréanic joined CFI as Deputy Managing Director on 7 January 2019. An Institut Français de Presse graduate, David Hivet worked as a reporter at PQR and Radio France from 1994 to 1998. From 1998 to 2006, he acted as Regional Audiovisual Officer, first at the French Embassy in Nigeria, then in Jordan for the entire Middle East as from 2002. In 2006-2007, he headed the International Department of the CIFAP training centre, then acted as a free-lance consultant for Radio Monte Carlo Doualiya and Radio France Internationale, where he helped with the groundwork for the project to overhaul the English language department. 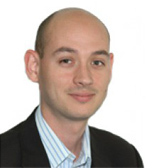 Since 2007, David Hivet has been directing the Marketing and Development Department of the Education, Training and Research Division at the French audiovisual institute (INA). In this capacity, he contributed to launching the Ina SUP and Ina EXPERT brands and instigated some international development projects, especially in the Middle East and Russia. 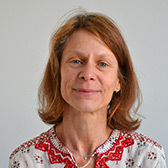 Dr Florence Minery has 20 years' experience in media development in emerging democracies, and closely monitored the expansion of pluralism in Africa within the context of her Ph.D., and then spent 17 years working for Gret (an international solidarity NGO). Her degree was in geopolitics (DEA) and her Ph.D. in information and communication sciences. She has a keen interest in a sectoral approach to international aid to the media in emerging democracies. She also has experience in editing, heading-up and monitoring European financing projects, and analysing and evaluating projects and their results in the long term. After a period spent at RFI within the cooperation division, she started working for Gret in 1997 , consolidating and developing a network of sponsors with a view to their becoming involved in support for the media in Africa. She was then a project leader in Chad, implementing a sectoral project aimed at strengthening the media. She went back to Gret's headquarters in 2004 to lead the Media program, becoming increasingly involved in media projects with a greater political dimension. 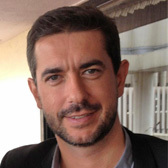 Formerly a production manager (1998-2003), Pierre Jalladeau joined the Ministry of Foreign Affairs in 2003 as cinema and broadcasting attaché at the French embassy in Rome, where he had the specific task of boosting the presence of French film and TV in the Italian market. In 2007 he became a consultant at Media Consulting Group, where he was responsible for a variety of public policy evaluations, impact studies and advisory engagements relating to sub-Saharan Africa. He joined CFI as Deputy Director of Programmes Policy in 2011, with specific responsibility for the coordination of programme-related activities (purchasing, scheduling, and providing advice to African producers and directors) as well as for developing partnerships with African TV channels. He became CFI's Africa Director in November 2013. 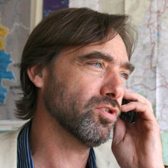 A geographer by training and an Africa specialist, Bernard Chenuaud was a reporter and assistant producer with RFI and France Culture between 1986 and 1993. He was a co-founder of RFI's international training division (1993), where he developed the project-based approach and addressed the longevity of proximity radio stations. He was involved in the launch of RFI Planète radio as head of teaching services. As a project leader with the rank of administrator for RFI's international training division and then for RFI's Académie RFI-FRANCE 24-MCD, he both devised and directed projects aimed at strengthening proximity radio in Africa and the Maghreb. He was also involved in training services (reporting, magazine production, animation, voice training and trainer training). He was given responsibility for media cooperation within France Médias Monde's international development management team in March 2013. 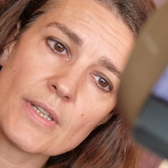 After obtaining her Master's degree from the Panthéon-Sorbonne University in Accounting and Finance, Laure Comolli joined the Libération newspaper in 1996, where she remained for eight years, five of which were spent as General Editorial Secretary. In 2003, she became Deputy Director of Administration and Finance for the company Singer. From 2006 to 2011, she oversaw her own management and audit inspection body (Sports Federation, audio-visual production, property development), then joined the Profession Santé group (Quotidien du Médecin, Quotidien du Pharmacien, Le Généraliste, etc.) as Director of Administration and Finance until 2016. She then spent three years as the Deputy Managing Director of Finance at independent media organisation BoxSons. 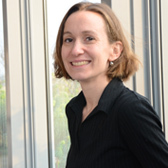 As part of the task to coordinate France's media assistance efforts on the African continent, a mission entrusted by the state to CFI, Emilie is responsible for developing multilateral co-financing arrangements for the operator, chiefly by launching European calls for tenders.